Below are some of the basics I share with our new kitten owners. I thought I would create a page with the products we use and/or recommend. ​I hope you find this information helpful. First of all, we free feed our cats. You don't have to if you don't want to leave food down all the time, but we find it's easier. Plus, it allows the kitties to graze all day long if they are hungry. And, no... they don't overeat. I actually had a vet tell me years ago when I had an overweight dog that when animals know that food is always available and they don't have to worry about where their next meal is coming from that they will eat less. He recommended I free feed my puppy. It helped to bring his weight down. Now, if you have other animals (like dogs who would prefer the cat food over their own food), this may not work for you... or, you will have to put kitty's food up where puppy can't get to it. We started using Science Diet Healthy Development Kitten about 6 months ago at a recommendation from another breeder. He said he fed it to all his cats, even the adults so we decided to give it a try. Given a choice between the Royal Canine that we used to use and the Science Diet, all the cats would stand in line for the Science Diet and only eat the other when the Science Diet was all gone. We've been using it exclusively ever since. It looks a lot like the Royal Canine Kitten in size, but the nuggets are slightly darker in color. I haven't noticed any unusual weigh gain in the adults and all our kittens have been doing well on it. We buy from Chewy on auto ship. You can schedule your auto ship for as far apart as you want so until you know how much you will need, schedule it farther apart than you will need. Then, if you see that you need to reorder, just go into your auto ship account on Chewy and click 'ship now'. Once you have an idea of how often you need to reorder, you can change the frequency of your shipping schedule. Make sure you are ordering at least $50 at a time if you have a place to store the extra food until you will need it so you get free shipping. Here's the link to the Science Diet Healthy Development Kitten. I copied this thumbnail from the Chewy page. It's really small. I'll take a picture of the bag and add it later today. DON'T BUY CHEAP FOOD! just don't! 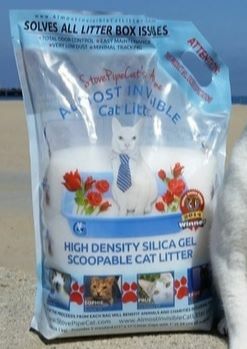 We use the Almost Invisible Cat Litter from Anti Icky Poo.com exclusively. It looks pricey, but when you price it out at the end of the month, it's really not that much more. AND IT DOESN'T STINK! (yeh!). Also you don't scoop the pee clumps. The pee doesn't clump. It just goes to the bottom of the box. When we first started breeding, we used clumping clay. But when the babies would get in their water and then walk in the litterbox, we had a heck of a time trying to get the wet clay (which becomes cement when it's wet) off their feet and out from between their toes. Buy online at Anti Icky Poo.com. The link to this is to the right. This is a small white crystal. Smaller than the crystal you will find in the stores. With most litters, you fill the box with 3-4" of litter and scoop the clumps. With this crystal, you only fill the box with about 1" of crystals and only scoop the poops. The pee goes to the bottom of the box. I fill at least 2", but I have a number of cats using each box. I have boxes close to the bathroom so it's easy to scoop and flush, The bright white crystals will start turning gold as they absorb the pee. Let it go until the box looks sort of like light sand. I find that some of the kitties always pee in the same spot. When they do, the litter on the bottom is heavy enough to stay on the scoop, so I go ahead dump the heavy pee soaked crystals. When it's time to replace, dump the entire box (flush, but flush slowly so you don't block the toilet). Clean the bottom of the box. I rinse in the sink or tub and wipe with a paper towel. Then, refill. I typically have to replace my community boxes twice a month. One bag will usually handle 2 regular sized litter boxes. The bags are around $30 ea depending on the quantity you buy at one time. ​Oh, and the litter scoop from Anti Icky Poo is the best I've ever had. It's $25... so a little pricey, but well worth it. The litter just slides right through and when it gets dirty, I just dunk it in the toilet bowl, swish it around and wholla! it's clean. Easy-peasy. Take the work out of cat litter boxes if you can. right? The coupon expires at the end of the year and does not apply to shipping charges. Grooming doesn't have to be a lot of work and with an American Curl, it should be almost nothing. You will need a few tools though. Next question is how often to you trim the nails.? Well, I trim when I hear the nails staging on the furniture or the bedspread, or when kitty hurts me when he/she is "making cookies" on my arm. Some cats don't need their nails trimmed more than every couple of months. and typically only the front. The only time I trim the back feet is for cat shows. We have to have all nails trimmed for the shows for the judges. You will probably never have to trim the back feet. For those people who are unsure about how to trim the nails or clean the ears, I've included these 2 short videos. This little boy has REALLY dirty ears. That's more common with the white cats than with the darker cats. I made this short video so you could see how easy it is to trip the nails. So here's the big question we get asked about the nails... when do you trim them? Well, you can put this on a 4-6wk schedule if you want, but that's really more than we do. We trim nails when they we can hear them snagging on the bedspread when they are playing or when they hurt when the kitties are making cookies on us. I made this little video to show how we clean the ears. When I'm show grooming, I use a damp wash rag on the inside of the ear to get everything except the wax that's a little deeper than the rag can get. I didn't do that with this guy. His ears are dirtier than most. I find that the brown cats or the silvers have a tendency to have less black wax. The lighter colored cats seem to have more. But it's easy enough to clean them. Don't let them get too dirty or you could be asking for an ear infection.... oh, an if your vet says you have ear mites, tell him to put the wax under a scope to confirm. He probably just hasn't read up on the natural black ear wax in American Curls. You WILL have to brush your kitty from time to time. Especially in the Spring when Kitty is loosing all that winter coat. My favorites are the wire slicker brushes bottom right and the big comb bottom center. I also use a "furminator" to get out the undercoat. Again, mostly in the spring for the house cats. Regularly, after every wash for the show cats. The show cats get a special "show groom" every week. which consists of a degreaser, 1-2 color shampoos, an enzyme shampoo, and an conditioner... clean ears, clip nails, and blow dry, except for Storm who gets is 'air dried'. Total time for most cats about an hour. Time for Storm: 1/2 for wash and 1-2 hours for the dry. The dryer dries out his coat so he goes out on the front porch in the sun and I comb him until he's dry. It's a ton of work, but that's where the ribbons come from for his coat at the shows. That, and his personality. He loves the shows. Judges like cats who like to be handled by the judges. So, for Storm, while he's showing, he gets lots of special handling. 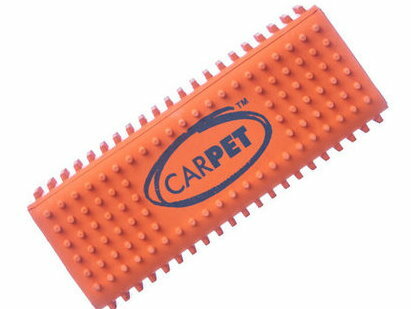 This is great for cleaning cat hair off furniture or cat beds. It's available at Jeffers Pet Supply for $7.99. 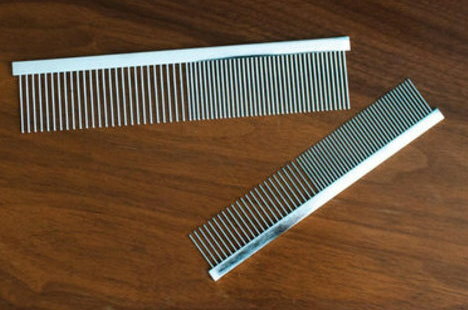 Here's the comb I like the best. I like the 7-1/2" with the 2 sizes of teeth. We purchase from Jeffers Pet Supplies and Revival Animal on line. They are cheaper than purchasing at the pet show vendors or pet stores. 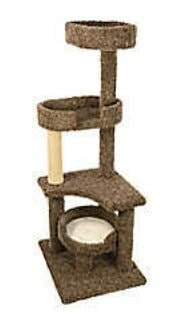 These come from Cherrybrook Premium Pet Supplies. I have 3 of these. I haven't noticed a huge difference between the soft, medium, and hard, but the longer pins are better for LH cats than the smaller ones you will find in the pet stores. 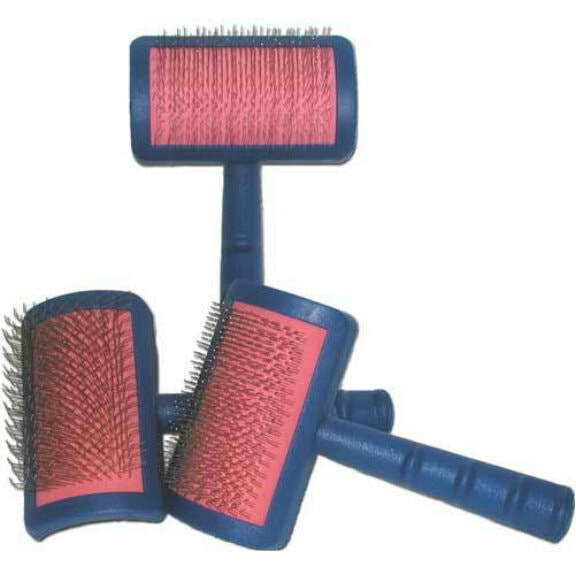 Here's the link to Jeffers Pet for this brush. Here's my favorite water bowl.. 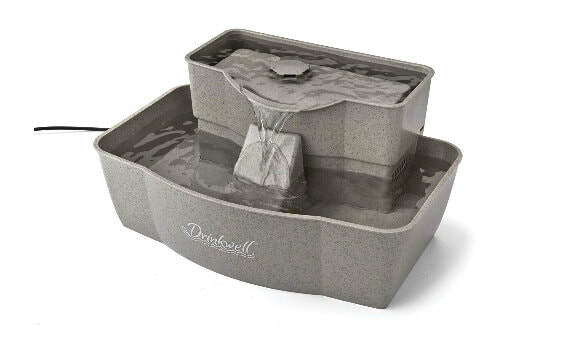 This Drinkwell has a flat bottom so it won't spill, holds a ton of water and the water gently flows from the top bowl to the lower bowl. My cats don't like the ones with the water falling from the top into a basin below. They are suspicious of the water falling... yes... cat's brains are funny. Your kitties need their own furniture. Not because they won't use yours, but they just think they should have it. I have several of the faux fur cheaper condo that I bought on Amazon but only because they are so cheap. My better condos are all carpeted. I buy them at cat shows. The cat shows have some really great vendors for cat stuff. We have a guy that we've bought almost all of our cat furniture from that goes to the cat shows all the time. He builds great stuff. If you are going to buy at a cat show, ask a couple of the breeders who they like. They will tell you who to buy from. It's probably the guy they get all there furniture from. 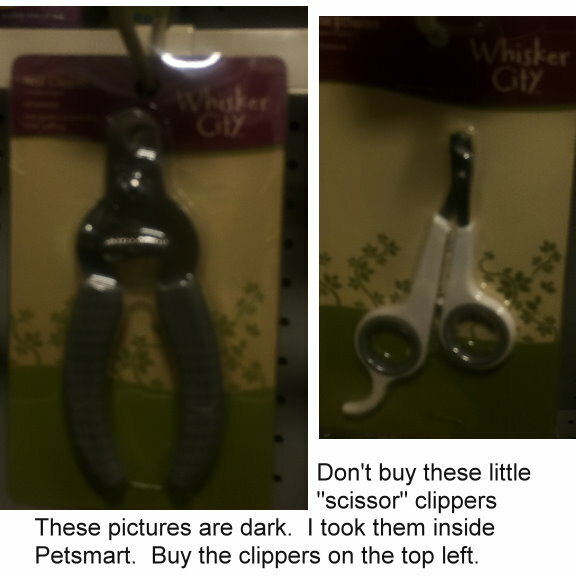 This is one I found on the PetSmart website to use as an example for you. What I look for is #1 (and you will find this to be really important after you've had it a couple years) CARPET. #2: number of levels and whether they have a ledge around the outside edge for the cat to lean on. Cats really like to snuggle up against something solid. I don't get excited about the tubes or cat houses on the condo. The important thing is how many platforms for them to jump, play and sleep on and the type of bed. Another big deal is what they can scratch on like this rope. I prefer more rope to the carpet for scratching but the cats will use either. This one is only 4-1/2 ft. It's $114. You're are better off with at least 6ft, but look for carpet and beds with the outside edge for them to lay up against. You will also find that the carpet is great for pulling out loose hair. You're just going to have to clean the hair off from time to time. With carpet, use your wire grooming brush above. For faux fur, you getter stick with the orange rubber one. I have more carriers than you can possibly imagine. But I have my favorites. I have a couple carriers I use for the airlines and another we use for quick vet visits, and others we use for cat shows. Then, there are all the ones stuck in the garage in case of an emergency evacuation. When Southern California had those huge fires the last 2 years, the flames got REALLY close to our home. I did a quick evacuation plan and realized that if I had to get the cats out of the house, I didn't have carriers for them. You should always make sure you have something you can stick you kitty into in case of an emergency. You can stick a dog on the back seat... but not a cat. The cat needs a secure carrier. We bought a bunch of cheap carriers at Big Lots that year that are still folded up in the garage. But for you, here's my favorite. It's on Amazon. I recommend it for people I am delivering a kitten to at the airport. 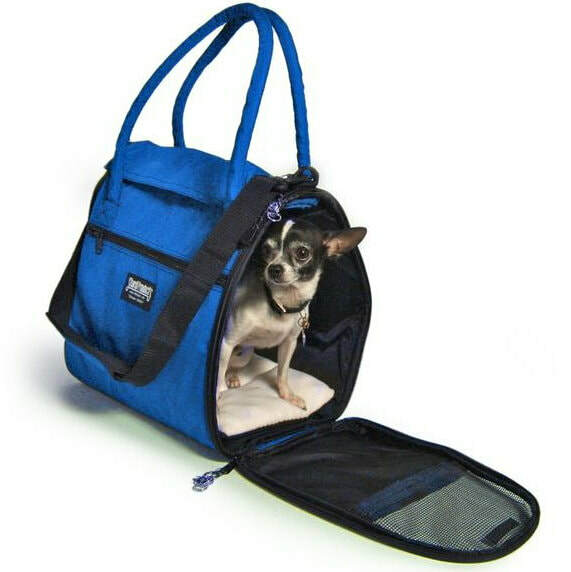 It's Mr. Peanut's Airline Approved Soft Sided Pet Carrier, Low Profile Travel Tote with Fleece Bedding, Premium Zippers & Safety Clasps, Under Seat Compatibility, Perfect for Cats and Small Dogs It costs $40 for Amazon Prime. It's light weight and really secure. The ones I use for travel are from Sturdi Products. If you are traveling internationally, you might want to look at the one below. It's called the Incognito. Cost is $74 from Sturdi Products. 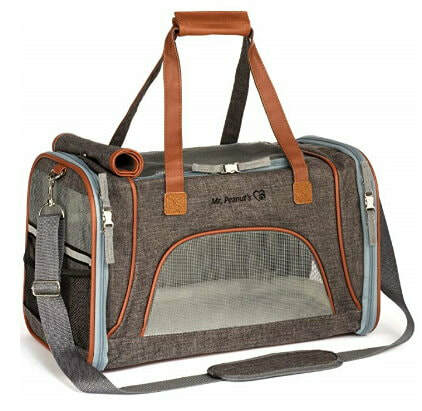 I like the Sturdi carrier for air travel because you can cover all the mesh windows so the cat can't see out. Trust me... they may be really interested in everything going on, but it can be too much excitement for them and they will have runny stools for a couple days after you get where you are going.